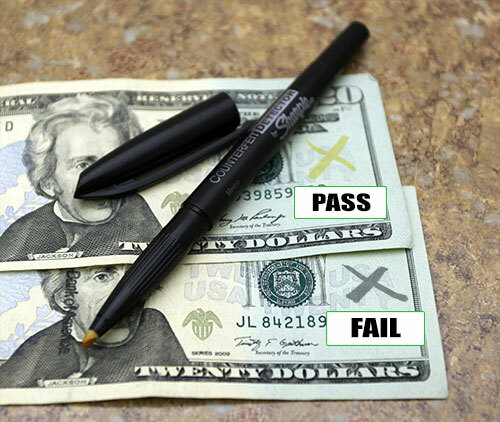 How to tell a counterfeit note using a counterfeit detection pen. Check for the watermark. If the portrait is not Ulysses S. Grant then it is likely to be a bleached $5 note printed to look like a $50. If it is a counterfeit, contact the U.S. Secret Service and report where you received the not from.